Beautiful 2 Year New, 4 Bedroom, 2-Story with Open Plan, Custom Kitchen, Granite Counter Tops, Hardwood Floors, Stainless Steel Appliances, Large Pantry, Covered Deck, Walk-out Basement, 3 Car Garage Fenced Yard, Backs to Woods, 1 Year Home Warranty! WHY BUY NEW WHEN YOU CAN BUY LIKE NEW AND SAVE THOUSANDS. MAKE AND OFFER IN ADVANCE OR BID YOUR PRICE AT THE AUCTION, IF NOT SOLD BEFORE! SEC Stewart Rd. & Catherine Rd. COME & BID YOUR PRICE ON THIS RESIDENTIAL HALF ACRE CORNER LOT JUST NORTH OF THE NEW S. LIBERTY PARKWAY! PROPERTY 1: Highly Visible I-35 (57,000 Cars Per Day) Light Industrial Property w/3 Buildings on 1.82 Acres. 1300sf Office Bldg., 4600sf Retail/Warehouse, 720sf Shop. 28x125 Concrete Pad, Fenced Yard, Billboard. Tremendous Future Development Opportunity! 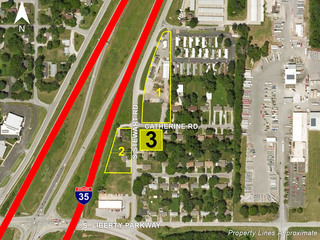 COME & BID YOUR PRICE ON THIS HIGHLY VISIBLE I-35 COMMERCIAL PROPERTY JUST NORTH OF THE NEW S. LIBERTY PARKWAY! 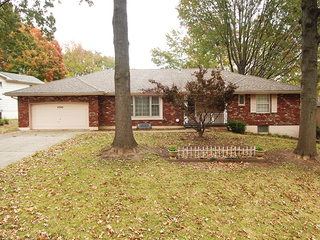 Solid brick front true ranch, 4 bedroom 2 full bath, 3 1/2 bath, 2-car garage, walk-out finished basement with kitchenette, LR, DR, eat-in kitchen, main floor laundry, mud room, semi-private back yard with patio. Only needs your finishing updates! Low reserve on this true ranch, located in much desired Tomasha Village sub-division complete with private tennis court, pool, playground, park & trail. Buy it now or bid your price at auction! Exceptionally well-maintained one-owner home in Liberty’s “Westwoods” community sells regardless of price! Spacious custom built 3BR plan (BR2 configured as office) w/3 full baths on the quietest street in Westwoods! Main level living + walkout lower level w/fireplace. 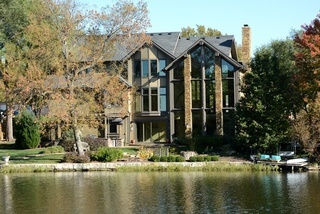 Sensational custom-designed lakefront home sells to highest bidder over $550,000 (Previously listed for $1.1M)! From massive Montana logs & hand-cut stone to heated slate floors & walls of soaring windows, this magnificent custom-built home amazes at every turn. (There’s even an elevator for your convenience!) Seller's reserve only HALF list price! GONE! Public Adminstrator Online Only Ordered Real Estate Auction - BIDDING ENDS TODAY! Online Only Fixer-Upper Investment Property 3-bedroom, 1 bath ranch, features maintenance free siding, updated 90% efficient furnace & A/C, double driveway, large oak trees, large fenced back yard, wood burning fireplace, large deck and garden shed. Bid Your Price Online! Terrific opportunity to buy a fixer-upper investment property. Sellers are downsizing and moving and have selected auction to facilitate a timely sale of their home this fall. 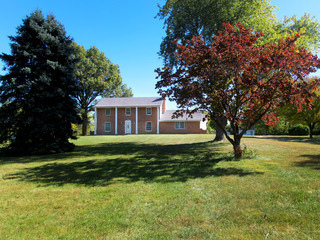 5BR, 3.5 BA brick two-story on 11 acres m/l. Main level Master BR & laundry room with a 2nd master. Zoned HVAC, 2 gas FP's, a 28x28 barn, a 2-car detached garage, a 32x50 shop with concrete floor & electricity. Pond. Sells without reserve! Online Only Fixer Upper Investment Property. 2 bedroom ranch, maintenace-free siding, newer electric furnace, hardwood floors, needs work, great opportunity to bid your price! Little Village Fixer Upper - 4 Bedroom, 2.5 Bath, 1.5 Story Home Features: Vinyl Siding, Newer Furnace & C/A, LR w/Fireplace, Finished Basement, 1 Car Garage, Fenced Backyard & More. Sells to the Highest Bidder Regardless of Price! Sellers have moved to a retirement community and have selected auction of both their real estate and personal property. Make an offer now or bid your price in the live/online auction on Nov. 6, if not sold before. Beautiful Nottingham by the Lake, Maint. Provided, 4 Bedroom, 4.5 Bath, 1.5 Story Features High Ceilings, Tall Windows, Custom Kitchen, First Floor Master, Finished Walk-Out Lower Level, Updates & More! Home Has Been Pre-Inspected and is Move-In Ready! Sellers are downsizing and moving and have selected auction to facilitate a timely sale of both their real estate and personal property. Make a pre-auction offer or bid your price in the live/online auction on Oct. 30 if not sold before. Solid 4BR home with 2 fireplaces, DR + eat-in kitchen, attic fan, partially finished basement. 3-car (tandem) garage + extra parking. Newer A/C. Video security. Backyard w/huge deck and nice outbuilding on pad w/electric. No minimum bid! 2 Bedroom True Ranch- Sells Online with No Minimum Bid! 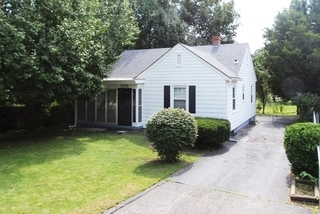 This 2BR, 1BA home is conveniently located in the heart of Liberty. Perfect starter home or investment property. Enclosed front porch along with back deck and patio. Walkout basement. Sells to highest online bidder, regardless of price! 4 BR, 3 BA ranch with eat-in kitchen, separate dining room, huge corner lot, large deck and patio. Walk-out basement w/full kitchen and 4th bedroom. Lots of garage space! (2-car attached, plus 2-car detached). Home warranty. No Reserve! GONE! Absolute Online Auction - Nininger AUCTION ENDS TODAY! 3 Bedroom True Ranch- No Minimum Bid! This 3BR, 1BA home has great potential. A little updating will make it your own. Perfect starter home or investment property. New sewer & water lines, newer fence, fresh exterior paint. Sells online with no minimum bid, regardless of price! Ranch-style Fixer-Upper Sells to Highest Bidder! 3 bedroom 2.5 bath on .37 acre corner lot with 1-car garage. Large eat-in kitchen, living room, dining room. Newer roof plus maintenance free siding. 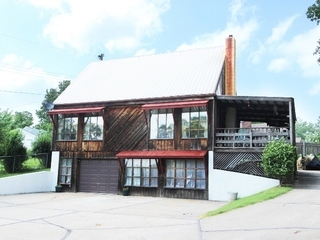 Great opportunity as an income producing property. 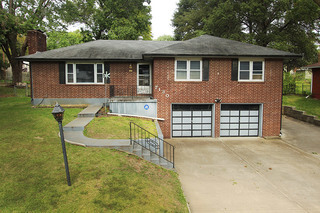 Desirable 3 bedroom 2.5 bath in North Kansas City school district, 2 minutes to shopping and highways. 1 year home warranty included! Fixer Upper 3BR, 2BA split level half-duplex, fenced yard, walk-out lower level, dining/living room, downstairs family room w/FP, just off Hwy 69 & minutes from Oak Park Mall. This 3 BR, 2 BA home sits in a quiet neighborhood close to Franklin Elementary and the historic Liberty Square. All kitchen appliances stay. New carpet, new shower. Private backyard has new deck/stonework with firepit. No minimum bid! 4 BR, 3BA home on a quiet street. Eat-in kitchen with separate dining room, huge double lot (nearly .5 acre), large deck and patio. Walk-out basement. Newer HVAC and roof (’07). One year home warranty. Come and bid your price or buy it now! Solid 3-bedroom ranch boasts maintenance free siding, thermal windows, covered back patio, oversized detached garage with shop, hearth room, LR, eat-in kitchen, 93% efficient HVAC, wireless alarm, walk to Gladstone Community Center & more! This property has sold prior to the auction. Personal Property will sell as scheduled. Sells to the highest bidder! Home warranty included. Nearly move-in ready just needs your finishing touches! ONLINE LOT AUCTION * HARBORVIEW TOWNHOMES * SMITHVILLE, MO - BIDDING ENDS TODAY! This lot is part of the Online Auction of 142 Lots in 7 Subdivisions in Clinton & Clay County, MO. ONLINE LOT AUCTION * LARIAT HEIGHTS UNDEVELOPED RESIDENTIAL * LATHROP, MISSOURI - BIDDING ENDS TODAY! 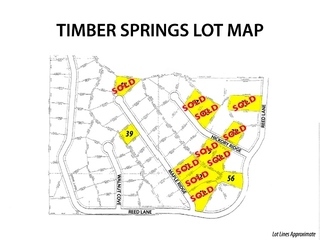 32 Platted Undeveloped Residential Lots Offered in 2 Groups * No Minimum Bid * Sell Regardless of Price * Pick Your Lots, Bid Your Price * Buy 1 or Both! ONLINE LOT AUCTION * LARIAT HEIGHTS RESIDENTIAL * LATHROP, MISSOURI - BIDDING ENDS TODAY! 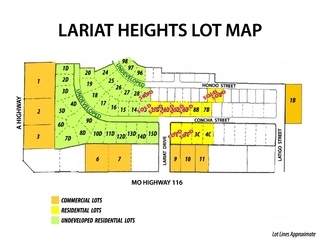 ONLINE LOT AUCTION * LARIAT HEIGHTS COMMERCIAL * LATHROP, MISSOURI - BIDDING ENDS TODAY! 8 Highway Frontage Commercial Lots Offered Individually * Low Minimum Bid* Pick Your Lot(s) Bid Your Price * Buy 1 or All! 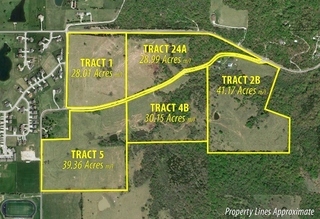 This auction consists of 8 developed commercial lots with frontage on MO Hwy 116 and MO Hwy A. The lots are offered Individually with low minimum bids, so pick your lot(s) and bid your price. Buy 1 or all! ONLINE LOT AUCTION * CENTENNIAL ACRES * TRIMBLE, MISSOURI - BIDDING ENDS TODAY! 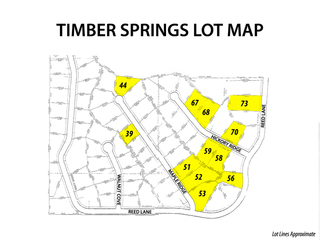 ONLINE LOT AUCTION * TIMBER SPRINGS ESTATES * TRIMBLE, MISSOURI - BIDDING ENDS TODAY! 3 BR, 2.5BA home close to school. Move in ready with great space, formal dining room, 2 gas FP's, large bedrooms and a finished basement w/half bath. 2 car garage. Beautifully landscaped fenced yard. One year home warranty. 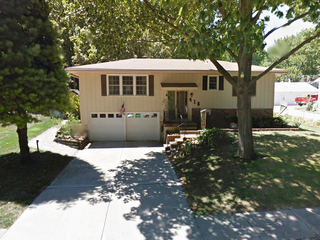 3 BR, 2.5BA home in a great neighborhood close to Oak Grove Park. Newer 30 yr Timberline roof, new driveway & garage floor, large deck, fenced yard, walkout basement. One year home warranty. No E-tax. No seller’s reserve; no minimum bid! 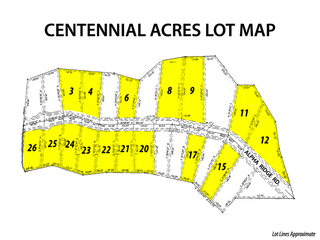 16 Residential Acreage Lots from 1 Acre to 2.6 Acres Offered Individually * Minimum Bids Up to 90% Off Last List! * Pick Your Lot(s) Bid Your Price * Buy 1 or All! 12 Residential Acreage Lots from .8 Acres to 1.68 Acres Offered Individually * Minimum Bids Up to 90% off Last List! * Pick Your Lot(s) Bid Your Price * Buy 1 or All! Any unsold lots will be grouped together and sold regardless of price in a final online auction beginning: 8/27/15 and ending: 9/9/15. These lots are part of the Online Auction of 142 Lots in 7 Subdivisions in Clinton & Clay County, MO. GONE! ONLINE LOT AUCTION * REBECCA RIDGE * LATHROP, MISSOURI - BIDDING ENDS TODAY! 3 Residential Lots Offered Individually * Minimum Bids Up to 90% Off Last List! * Pick Your Lot(s) Bid Your Price * Buy 1 or All! GONE! 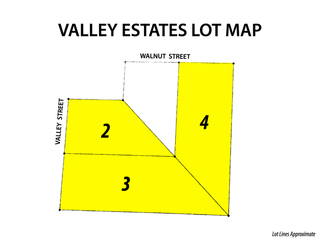 ONLINE LOT AUCTION * VALLEY ESTATES * LATHROP, MISSOURI - BIDDING ENDS TODAY! 3 Residential Estate Lots From .5 Acre to 1 Acre Offered Individually * Minimum Bids Up to 90% Off Last List! * Pick Your Lot(s) Bid Your Price * Buy 1 or All! 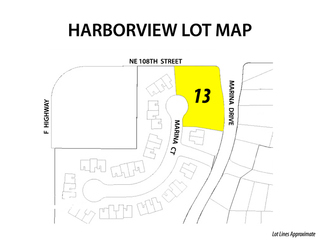 11 Developed Residential Lots Offered Individually * Minimum Bid Up To 90% Off Last List! * Pick Your Lot(s) Bid Your Price * Buy 1 or All! Well Maintained Liberty 3 Bedroom, 2.5 Bath Split. Features: LR, DR, Kitchen, Walk-out Fin. Basement: Family Room, 2 Car Att. Garage, Back Deck, Fenced Backyard, Nice Treed Lot, 1 Year Warranty & Much More! To Settle the Mary Shelton Estate. Don't Miss This Opportunity to Buy at Auction Prices. Come and Bid Your Price! Elegant Home in Tiffany Greens, Loaded with Features -- No Minimum Bid! Great 4BR plan with true main level living. High ceilings, tall windows, beautiful millwork and upgraded finishes throughout. Lovely landscaping, nice golf views and awesome walk-out basement. Meticulously maintained. Sells regardless of price! Home & Contents Sell Together! Fixer Upper 2 Bedroom, 1 Bath Bungalow on .5 Acre Lot with Carport, 12x16 Croft Garden Shed, Furniture, Appliances, Household Items, Lawn Tools & More! A Great Entry Level Home with Everything You Need to Get Started! To Settle the Martha Becker Estate. Don't Miss This Opportunity to Buy at a House & Contents at Auction Prices. Login Online and Bid Your Price! Don't miss this opportunity to bid your price on one tract, combination of tracts, or all 160 acres. All 5 Tracts Sell Without Reserve! Come and bid your price! Highly efficient ‘solar’ home features lodge-feel with modern amenities, open floors for easy and comfort, large eat-in kitchen, LR, FR, non-conforming 2nd & 3rd bedrooms, main floor laundry, huge 1-car garage, loads of storage, rustic beam construction. Very desirable Sherwood Estates subdivision corner lot home with huge trees, maintenance-free brick front and siding, huge 2-car garage, eat-in kitchen & dining room with WBFP, thermal windows throughout only needs your finishing touch! Saddle Up! Gated secluded Platte County 5700+ sq ft 1989 ranch-style home with many updates features Weston Schools, Butler Barn, horse arena & inground pool on 25 acres of timber & pasture with a 1 acre pond. Stocked pond, hardwood, nut & fruit trees, riding trails, newer Butler Barn, historic stone ban, 4 horse stables, new coop, inground pool, 3-tier Koi pond, stucco walls, 75-year tile roof, Andersen Windows. 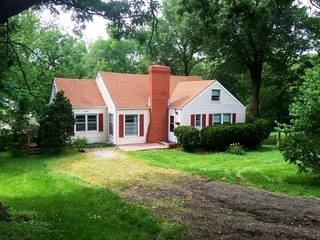 Well Maintained Liberty 3 Bedroom, 2 Bath Split with 3 Garages - Features: new Timberline roof-‘09, Trane c/a & furnace-08, alum. siding, thermo windows, 200 amp elec, LR, DR, fin. basement: FR, hardwoods under carpet, covered patio, privacy fence. Great south Liberty location offers easy access to highways, shopping, dining, schools etc. Don't miss this opportunity to make an offer in advance or Bid Your Price at the auction. 2 BR, 1.5BA fixer-upper, close to Landmark Park. 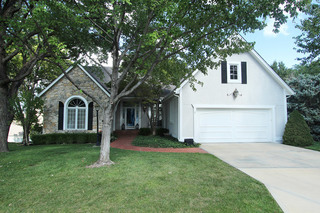 Hardwood floors, wood burning fireplace, garage converted to non-conforming 3rd BR w/private entrance. Attic finished as well! Basement floor needs work. No seller’s reserve, no minimum bid! Updated and exceptionally well-maintained 5 BR home in great area! Sold prior to auction! Personal Property will sell as scheduled. 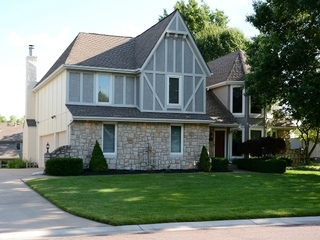 Spacious rooms and professional updates are just a few of the advantages of this 5BR home. Bathrooms renovated in 2014. 3-car garage and huge deck. 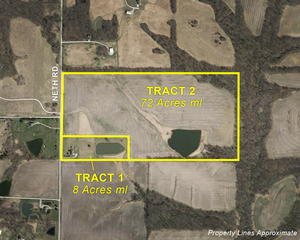 80 acres m/l offered in two tracts. Tract 1: 3BR home on 8 acres with 3 acre lake. Tract 2: Adjoining 72 acres with 6 acre lake. Buy one or both! 80 picturesque acres m/l in unincorporated Clay County between Kearney & Smithville. T1: Solid 2,000sf 3BR fixer upper home on 8 acres overlooking 3 acre lake. T2: Adjoining 72 acres w/7 acre lake. Bid on one or buy both! A pre auction offer has been accepted, the auction has been cancelled. Come and bid your price on this solid, Class B, commercial building in great location. Use as daycare facility or easily renovate into professional offices. SOLD PRIOR TO AUCTION! Come & bid your price or make an advance offer. Updated w/new paint, Frieze carpet, newer Trane HVAC, kitchen w/granite & all black appliances, great room, dining area, deck, privacy fenced yard, fin. basement, etc. 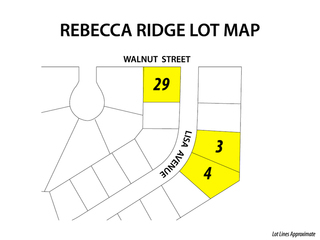 3 Bedroom Corner Lot - No Minimum Bid! This 3BR, 1 BA home has great potential. A little updating will make it your own. Also makes for a great investment property. Rent or flip. Great income potential. This fixer upper sells online with no minimum bid, regardless of price! 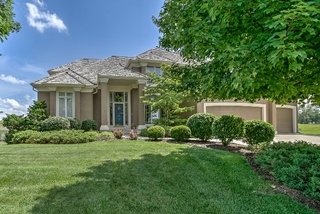 Gorgeous 4BR, 4.5BA executive home. Spacious main level master suite & high end finishes throughout. Two-tiered walkout basement is perfect for entertaining, lush landscape surrounds the beautiful in-ground pool. Oversized 4+ car garage. Well-maintained Ranch Home Sells Regardless of Price! 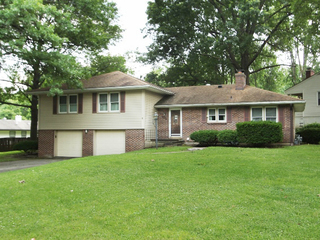 Solid 3BR true ranch with additional spacious lower level walk-out living arrangement. 2 fireplaces. Adjacent to park. Most windows replaced 06-07, newer HWH, hardwoods, sewer upgrade completed 12/14. Needs updating. No minimum bid!